Our Kimberwick Bits are all solid stainless steel unless otherwise noted. They come with a curb chain and curb hooks. 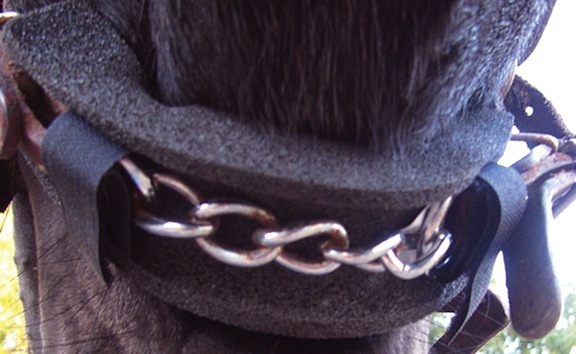 They offer good stopping control, easy or medium leverage options, and good lateral control of the horse. A good bit for the hard to stop horse. Stainless Steel, comes with Curb Chain and hooks. Offers good stopping control. A nice bit for a tad harder to stop draft. It also offers good lateral control of horse. 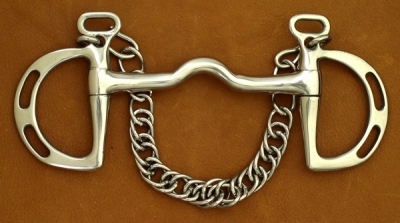 The low port mouth sits comfortably over the tongue with an even pressure applied to the jaw over the bars. This helps to keep the tongue under the bit. 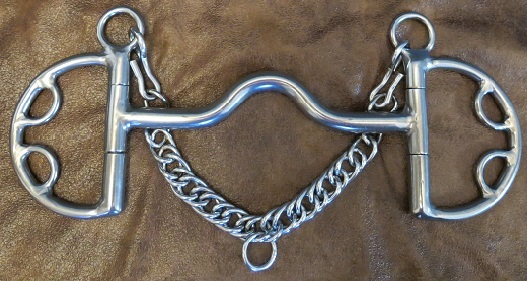 This stainless steel bit comes with a curb chain and hooks. Sizes: 5 3/4", 6" & 1/2"
5 3/4" 6" 6 1/2"
Stainless Steel, comes with Curb Chain and hooks. 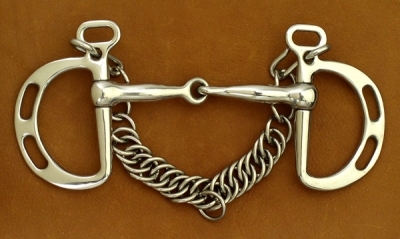 The jointed snaffle makes this is good bit to use on your hard to stop Draft. Also offers good lateral control of horse. The cheekpiece is 5" high x 3" across. Sizes: 5 1/2"
Sizes: 5 1/2", 5 3/4", 6"
Size: 5 1/2", 5 3/4", 6", 6 1/2", 7"